After the first M-Tri & DJ Leecy T release on 45 Live Records in January 2018 – which was snapped up and sold out within days of release – they return with a brand new 7 inch for the label. 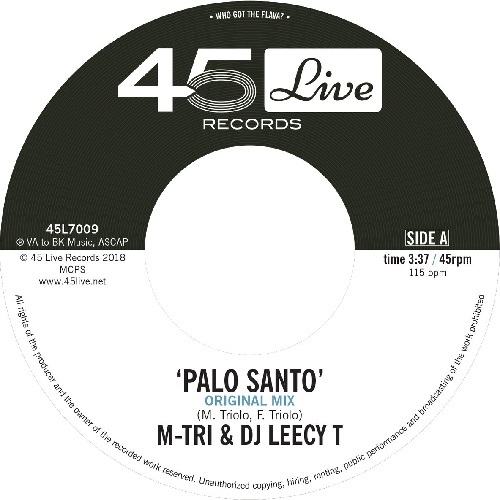 Staying true to their old school boom-bap flavour, ‘Palo Santo’ rocks along with tough crisp drums with M-Tri and Leecy T masterfully trading raps, all fused together with the sweetest of cuts and scratches. 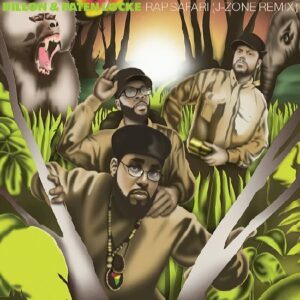 This is super solid dance-floor hip-hop, very funky and is sure to shift fast to their ever building fan-base. 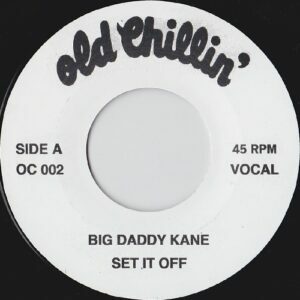 The B side features a complete rework by fellow 45 Live artist Aeon Seven. The producer/DJ/artist extraordinaire from northern France ups the bass and drums, adding some wah-wah guitar, organ stabs and his own exceptionally tight cuts and scratches for a totally dope rework. 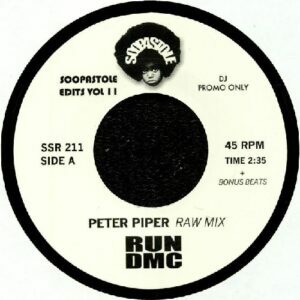 This ain’t no remix, but a 100% from-the-ground-up rework!.